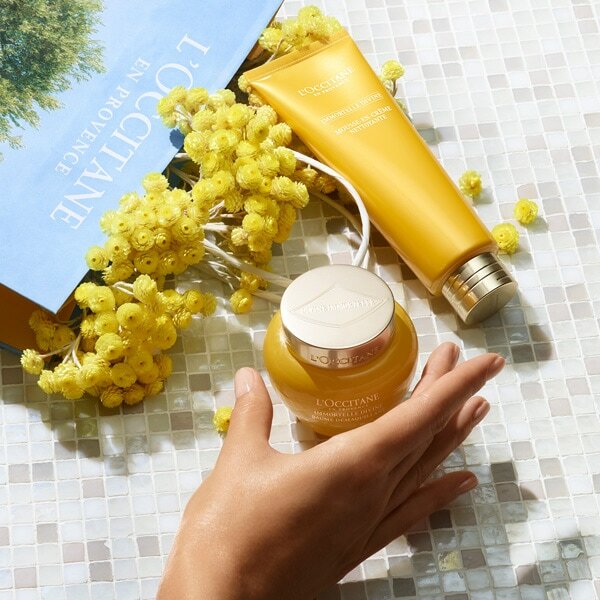 L'OCCITANE works directly with over 130 French farmers and 10,000 pickers - from the immortelle fields of Corsica to the lavender fields of Provence - to ensure that the ingredients we use are of the highest quality and sourced as sustainably as possible. 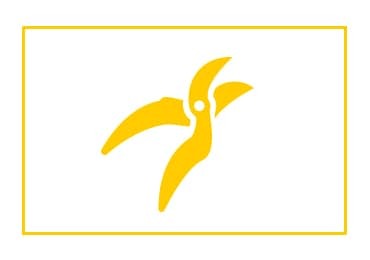 The L’OCCITANE brand sees nature as its model and draws inspiration from the natural properties of plants to drive innovation. We are dedicated to developing long-term partnerships with our producers and prioritize short, local integrated channels when sourcing our key ingredients. The fairness of our partnerships can also be found in our North-South trade. 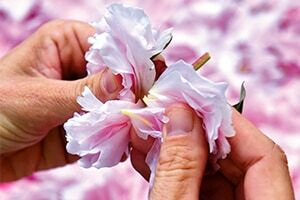 Several of our supply chains (shea butter, argan oil and orange blossom floral water) are fair trade approved and we donate a percentage of the purchase price of the raw material to local development projects. 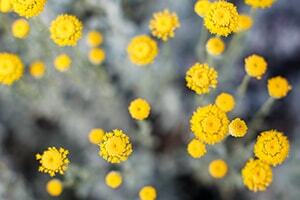 The large scale, organic immortelle plantation program was launched in Corsica. The initiative unites respect for the environment with equality. 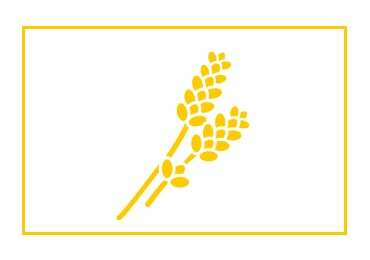 Today, this project brings together ten Corsican growers/distillers, who use organic farming methods and have contracts that cover five to seven harvests. 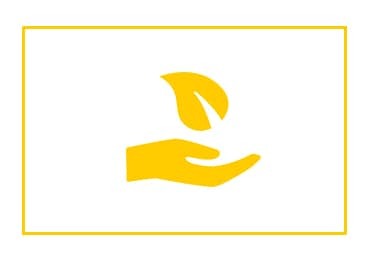 M.Baussan, founder of the L’OCCITANE brand, discovered shea butter in Burkina Faso in 1980: the start of a sustainable joint-development partnership with the women who produce this butter. Since 2015, the Group has been working on projects aimed at protecting the shea tree, reducing the environmental impact of shea butter production while maintaining local skills. Today, over 10,000 women are working in this industry and are able to sell their butter at a price that is twice that of a standard shea butter sold for export. 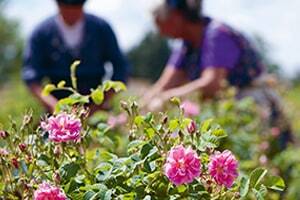 At L'OCCITANE, we strive to use high-quality, traceable ingredients of natural origin. We use over 200 plant-derived ingredients, a quarter of them organic certified, which are carefully selected for their effectiveness and their ability to give your skin the elements it needs to look beautiful. We therefore systematically give priority to natural ingredients whenever possible. 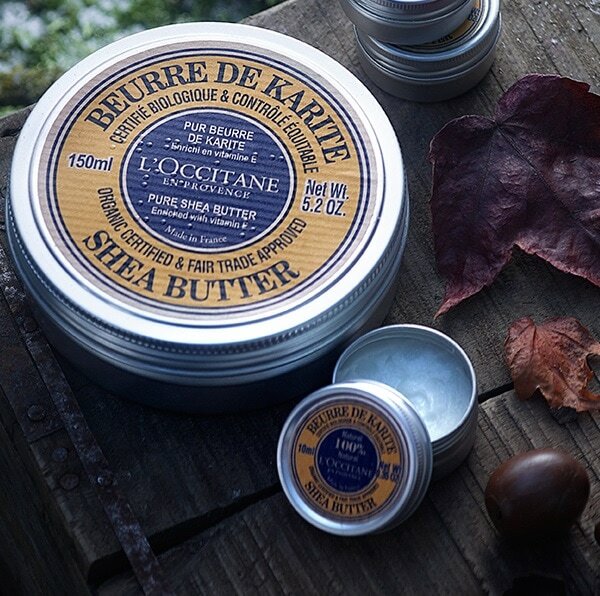 Discover L’OCCITANE’s most beloved products, made with the finest ingredients and 40 years of traditions. 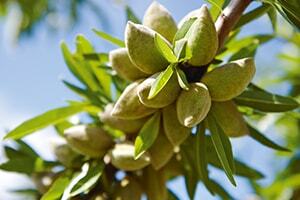 Provençal Almond, Burkina Faso Shea butter… all ethically sourced!